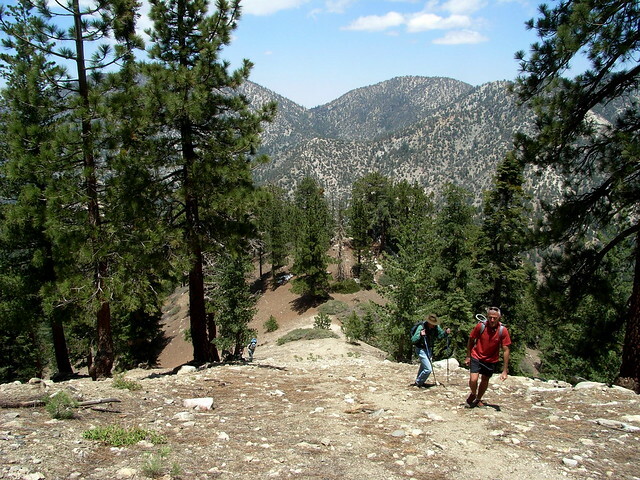 A short but steep hike to a prominent ridge in the San Gabriel High Country. You’ll pass through a defunct picnic area, an abandoned ski resort, and top it off with outstanding views of the middle of the front range and San Gabriel Wilderness. While it might not be a Destination Hike, it’s well worth the detour if you’re in the area. Just a few miles away from Islip Saddle, and a few miles past the trailheads for Winston Peak and Mount Akawie, you’ll see dilapidated signs for the Vista Picnic Area. On the right south side of the road, you’ll come upon a rarely used collection of picnic tables, nestled in the shade of the east-west Kratka Ridge. 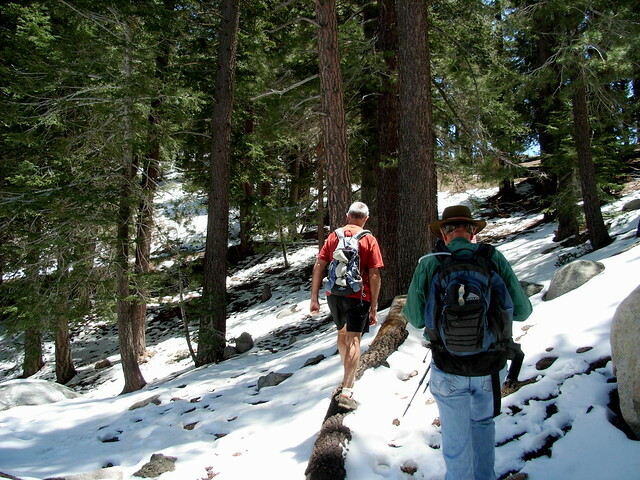 This was the last of three short hikes I did with the Sierra Club a few weeks ago, and even at the end of May, there was still a bit of snow in the shadier areas. 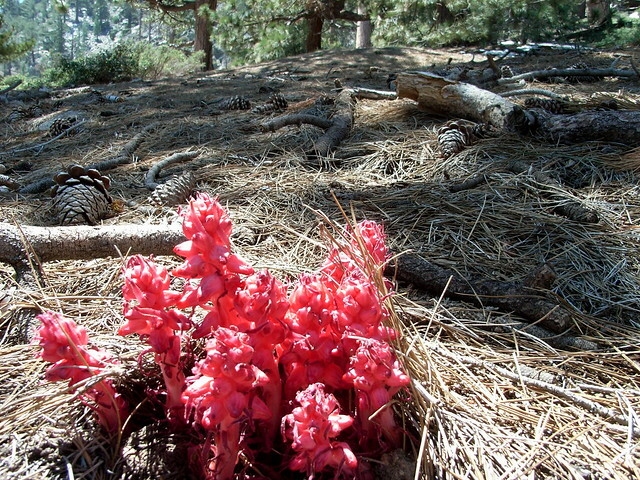 Most of the white stuff disappeared pretty quickly as we climbed up to sunnier areas, but I did see a flash of red on the pine needle-covered floor — a small patch of snow plant flowers. 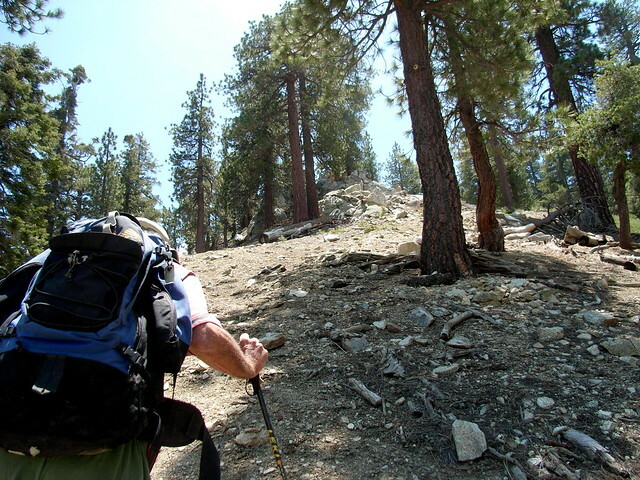 In a very short time, we had switchbacked up the picnic area and arrived on the prominent ridge line. 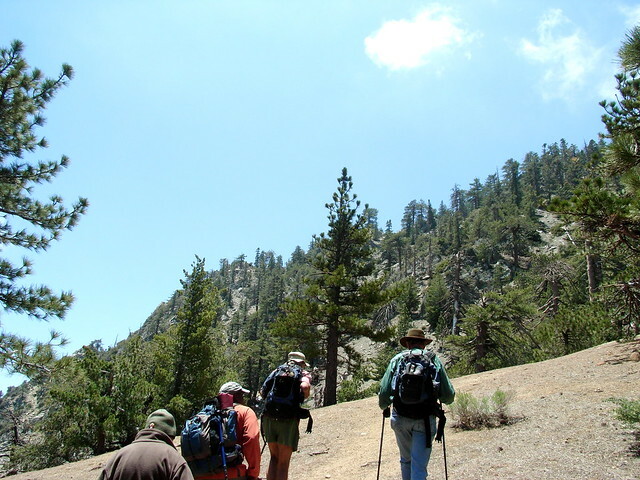 To our south, the ground dropped off suddenly into the deep valleys of the San Gabriel Wilderness. We began a steady climb to the west, and the highest point on the ridge. Eventually you will find a narrow single-track use trail that winds to the west, apparently stopping at an overlook where you can just make out some of the old ski lodge equipment below you. Where this single-track seems to vanish, turn to the south and make a short but very steep ascent up another faint use trail. The angle and the soft makeup of the ground may make this ascent more difficult than it initially seems on first inspection. After this, most of the elevation-gaining work on the trail is done. You’ll reach a graded old ski trail / road and follow it to the west, where you’ll meet up with other old ski runs and continue west beneath an old wooden ski lift. 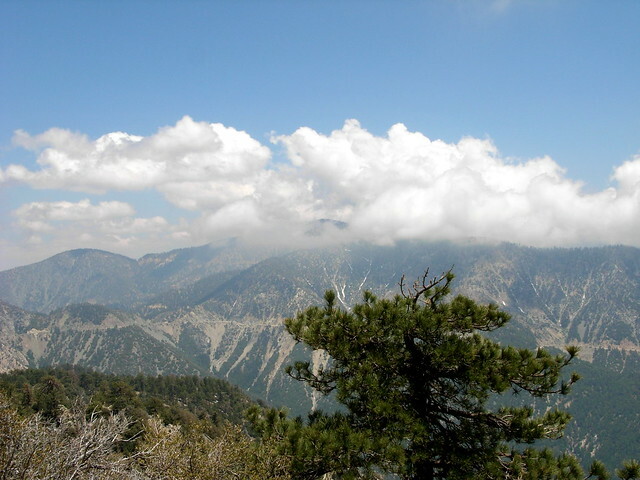 Near the ridge, you’ll get some excellent views of the San Gabriel Wilderness to the south. 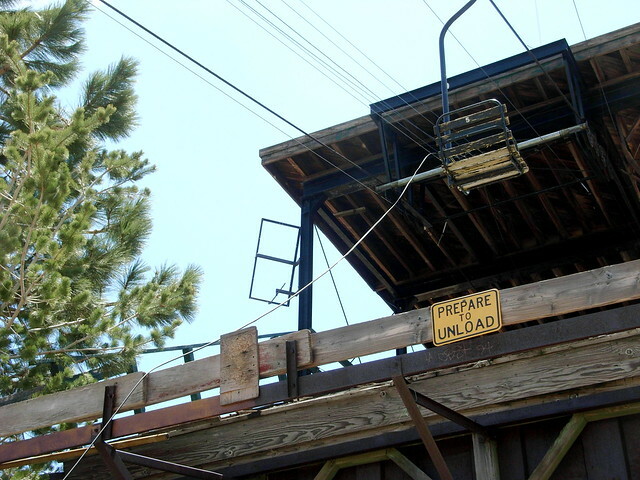 Also in sight was the old Kratka Ridge Skilift, which still had some seats attached to the cables, but had clearly seen much better days. There is a small picnic area just to the east of the lift. 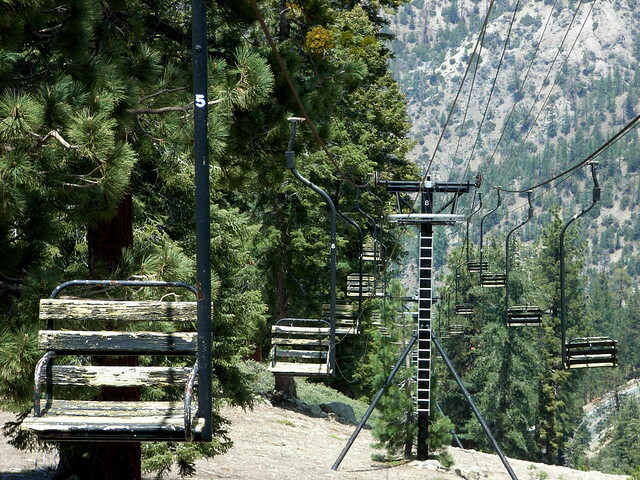 Just beyond the ski lift is a very short scramble up to the Ridge’s high point, which just happens to also have one of the most impressive views of the middle San Gabriels, with clear views of Waterman Mountain past Twin Peaks and all the way down to the civilization you just escaped from. After spending a short rest at the summit, scramble back down the way you came — taking care on that steep and slippery descent. Fair. While sections of this trail are on unmapped use trails, the best route for the ascent is more easily visible once you're looking at it. This route is partially on established trails, partially on abandoned fire roads, and partially on use-trails. There are a few short, steep sections that could present some challenges. 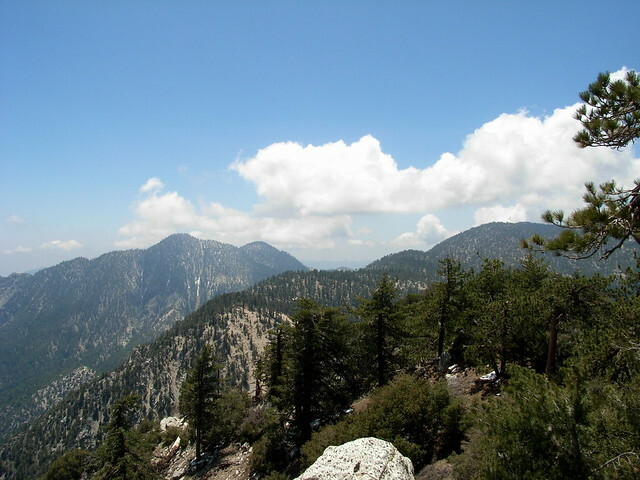 From the 210 in La Canada Flintridge, take the Angeles Crest Highway 36.2 miles, past the Buckhorn Campground. Park at the Vista Picnic Area on the south side of the road and display your Adventure Pass. Note that Google Maps may show you the correct location on the map, but give you directions past the actual trailhead once you're listening to turn-by-turn directions. I went and checked this out yesterday, sadly all the signs and electronics you show in your pictures have been removed by (I assume) vandals and thieves. 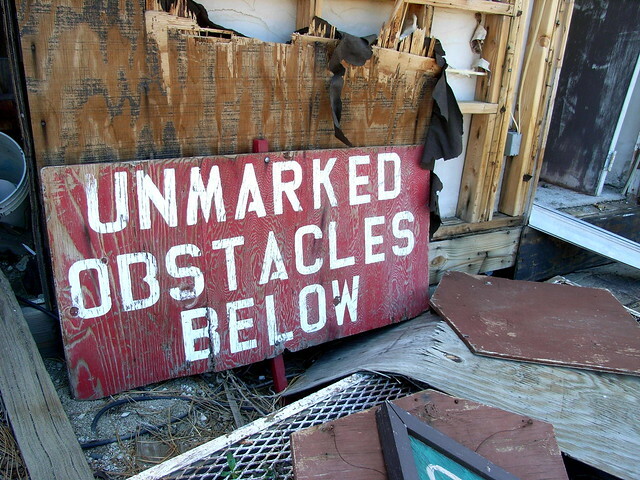 Also, someone recently decided to make a Yelp page about the 'abandoned ski resort' so expect a flurry of Instagram selfies from there soon. I am grateful I got to see it before it gets completely vandalized, it's a sad but beautiful picture of a time gone by. Maybe one day it will open again, even if just for scenic trips up the mountain! Very cool, the updates look great. Have a good one. It's much appreciated :) Part of the crowdfunding campaign we're doing will be to help us go through ALL these hike write-ups -- especially older ones like this -- and bring them all up to the same standard as our newer posts. This one is definitely on the to-fix list (I went in and updated some basic stuff already), but glad you got up there to enjoy it anyway. 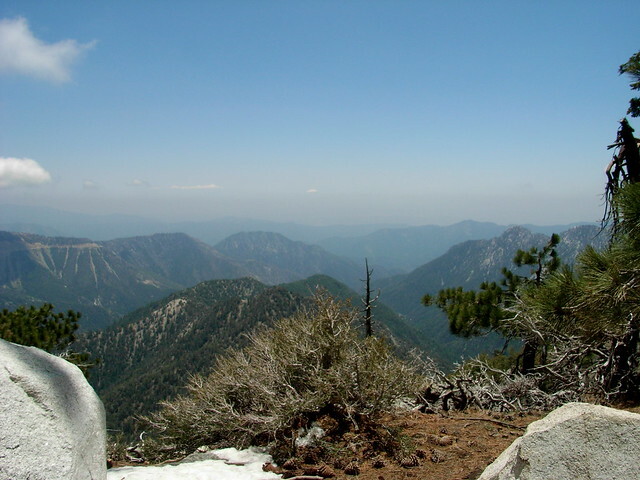 It's a really beautiful and unique place in the San Gabriels. Hey Casey! Yes my friends and I loved the whole hike and didn't mind the adventure of figuring it out at all. As I said, big fan and I exclusively visit MH when planning hikes. Thought I'd pay forward all the great advice by sharing some of my own. Thanks again! Thanks for the corrections, Michael. I was just up here earlier this year and this is also unfortunately one of the trails where Google Maps Directions will show you the proper trailhead but direct you past it once you're actually listening to the turn-by-turn directions. I'm in the process of going through ALL of our write-ups to recheck everything. As you can imagine, it's quite a task - so thank you for the heads up! I'll correct the post ASAP. Big fan and regular user of Modern Hiker but I had a hard time following the directions for this one. The directions list the lift line as EAST of the Vista picnic area when it is actually WEST and then SOUTH WEST. From the parking spot at Vista picnic area head SOUTH (UP the hill) past the bathrooms and find the bench overlooking a grand view of the mountains. Head WEST (to your right if you are sitting on the bench taking in the view of the mountains) UP and across the grassy hill along the well worn single file walking path. The path steepens slightly and curves up to a soft ridge. On your left a very steep trail winds UP the hill, ahead a downhill, and to your right and UP there is a small lookout spot. Take the very steep trail to your left and follow it UP. At the top continue onto the 8 foot wide shelf that follows the side of the mountain and UP to the SOUTH WEST. You'll come to another grand view of the mountain range to the SOUTH lined with huge grey boulders. From here, facing out to the southern mountains you can look left and find the lift chairs hanging in the distance. Head WEST and UP the hill along the trail and you'll find the top of the lift line easily. Above the structure, along the single file walking path you'll find the very best view of the day at the peak. Enjoy. My party and I found fresh large cat tracks all around the area but thankfully didn't run into any. Keep your eyes up and hike safe! I have boarded or skiied all socal ski resorts (bear, summit, mt high, sunrise, valley, waterman, and baldy). I never had a chanceto ski or boatd kratka but would love to have that chance. Maybe I will have to do some hiking during winter to make this happen.